Listen carefully and you still hear that Texas lilt in her voice. From Corpus Christi, Beverly Liss has committed herself wholeheartedly to Jewish Detroit since moving to the community 45 years ago. 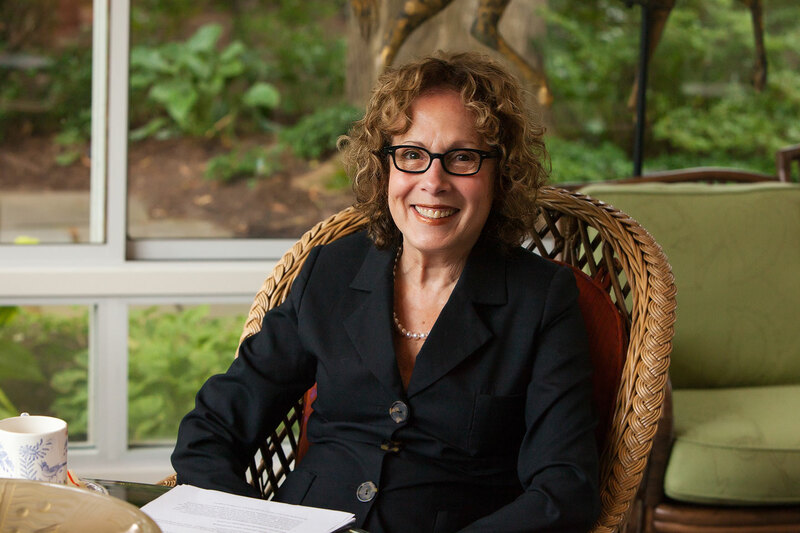 For her beloved husband, Arthur, for her family and close friends –those who have watched and lauded her community work and steady rise through the ranks of the Jewish Federation of Metropolitan Detroit - it comes as no surprise that Beverly Liss is Federation’s 28th President – with the distinction of being the third woman to hold that office. 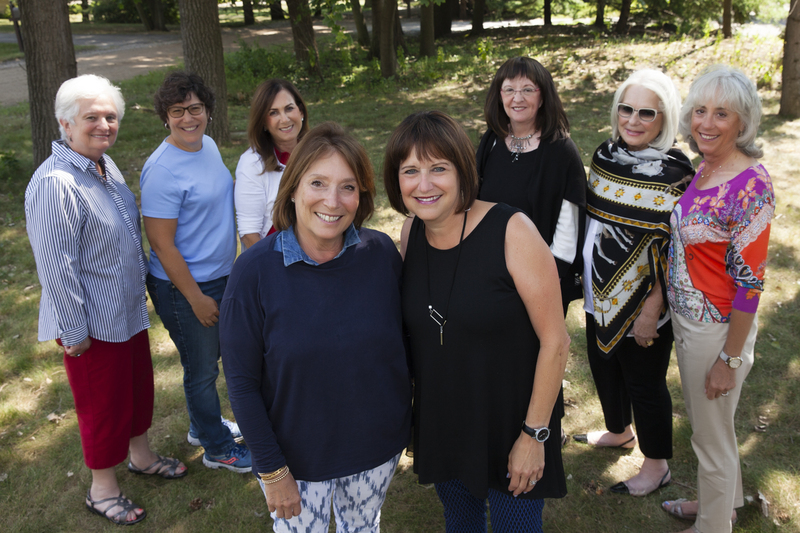 A “woman’s gift.” For as long as there has been a “Woman’s Department” (now Women’s Philanthropy) at the Jewish Federation, women have gathered in friendship, strengthened their connections and welcomed one another with open arms. One need look no further than Federation to find a long history of extraordinary women in Jewish Detroit – women who have made lasting contributions as volunteers, community organizers, fundraisers, leaders, philanthropists, officers on boards, presidents and CEOs of agencies. Now at the start of her three-year term as President of Federation’s Board of Governors, Beverly Liss readily acknowledges the influence of the women whose footsteps she has followed. “Past Presidents Penny Blumenstein (1998-2001) and Nancy Grosfeld (2008-2011) have totally inspired me,” she says. 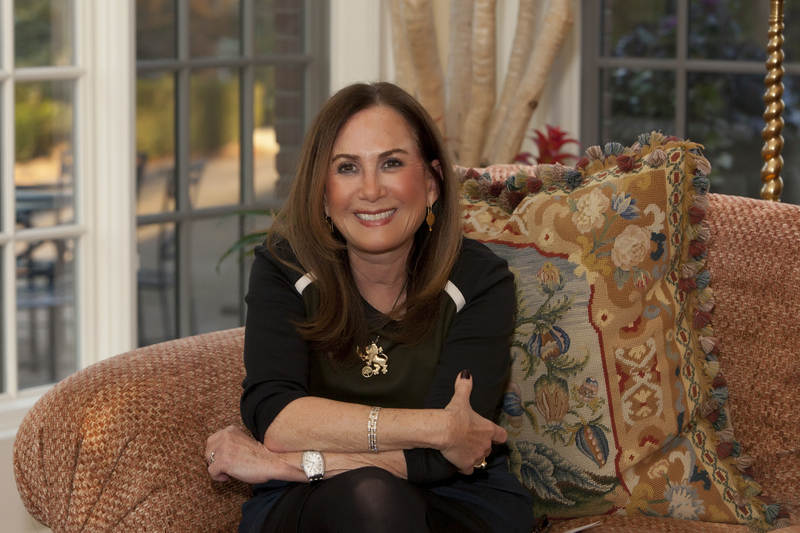 “In fact, I think of every Women’s Philanthropy President as an outstanding example of what a Jewish leader should be. And the thing about all of us: no one drops off the roster. We’re dear friends and continue to work together. I think about Doreen Hermelin, so graciously hosting events and mentoring young women – or Dulcie Rosenfeld (going strong at 90), still traveling to the partnership Region with the Israel and Overseas Committee. Beverly holds a record of volunteer service spanning more than 40 years. Self-described as honest (sometimes to a fault), and a good listener with a sense of fair play, Beverly holds a record of volunteer service spanning more than 40 years. A dedicated community activist, community organizer and fundraiser, she has held numerous top leadership roles, including Co-Founder and Chair of the Jewish Women’s Foundation (2003-2005), President of Women’s Campaign and Education Department (1998-2000), Chair of Federation’s Annual 2008-2009 Campaigns and Chair of Federation’s Alliance for Jewish Education. 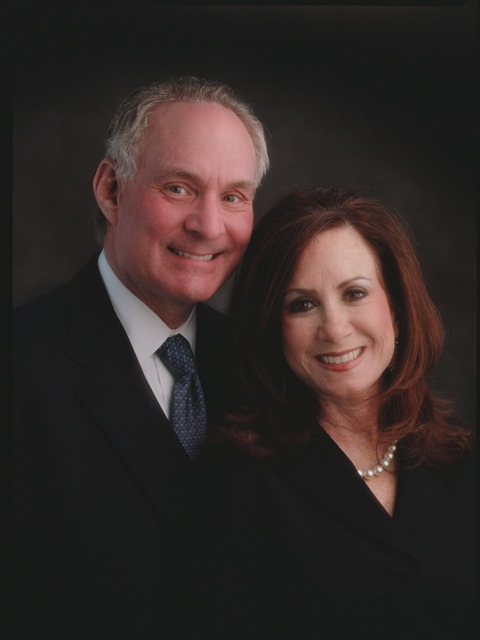 Beverly has been part of the leadership team on numerous missions to Israel, including Federation’s Miracle Mission III and the Family Mission. 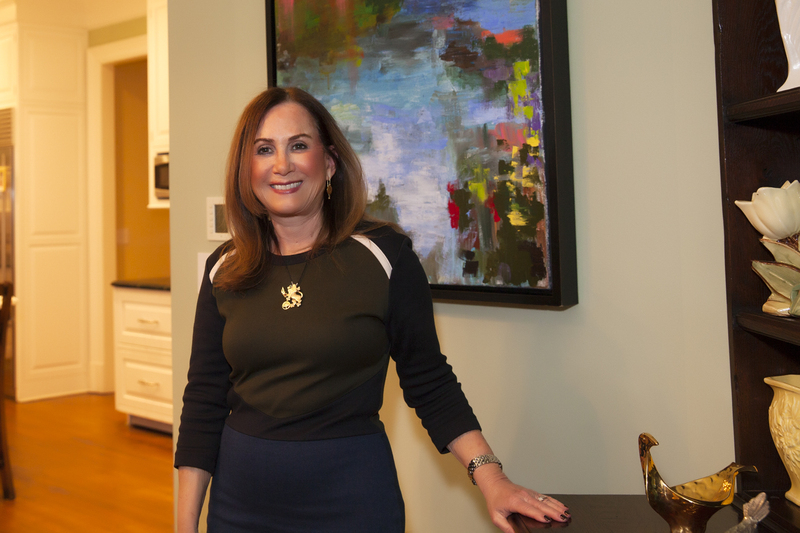 In other leadership roles, she has served as President of Adat Shalom Synagogue and as a board member of Hillel Day School, the Jewish Community Center, The Jewish Fund, the Fisher Foundation and Friends of Bar Ilan University. Still setting the pace for volunteers in the community, Beverly is an avid supporter of Yad Ezra and Gleaner’s Community Food Bank. Known to bring homemade mandel bread to meetings, Beverly manages to maintain a gentle equilibrium between her home life and public life. “I dream of Federation as one big family tent where we all belong,” she says. At home, Beverly enjoys time and space for her own creative endeavors, painting, baking and cooking for a crowd. Residents of Bloomfield Hills, Beverly and Arthur are proud parents of Jeremy (married to Stephanie) and Lindsey – both in Chicago – and Zachary (married to Ilana) in Bloomfield Hills; the Liss family is also blessed with nine grandchildren – Micah, Max, Jesse, Levi, Tate, Georgia, Lily, Eden and Ruby. 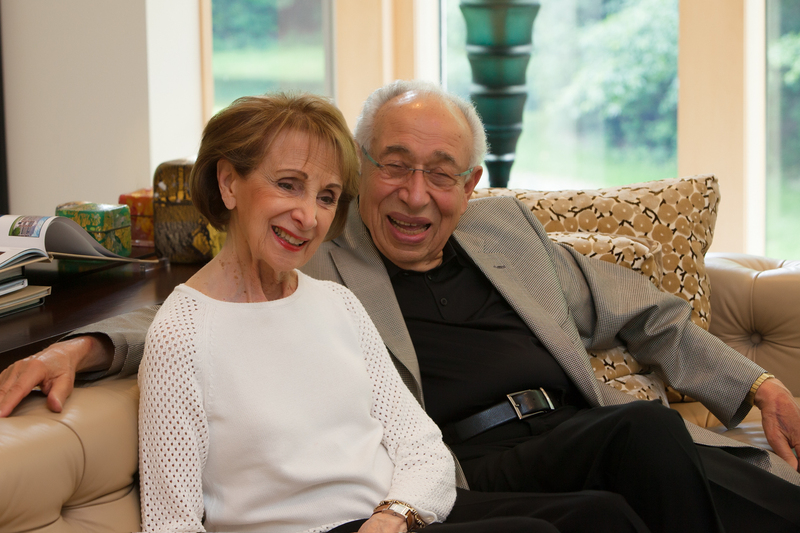 myJewishDetroit: Please share a little about your family and educational background. For as long as I can remember, my family lived in Corpus Christi. My mother was from Russia; my father was from New York and came to Corpus because it was a seaport and had a great waterfront. He planned to move on to Dallas, but when he came to Corpus, he fell in love with the town, then fell in love with my mother. I grew up in a traditional Jewish home, the youngest of three children. 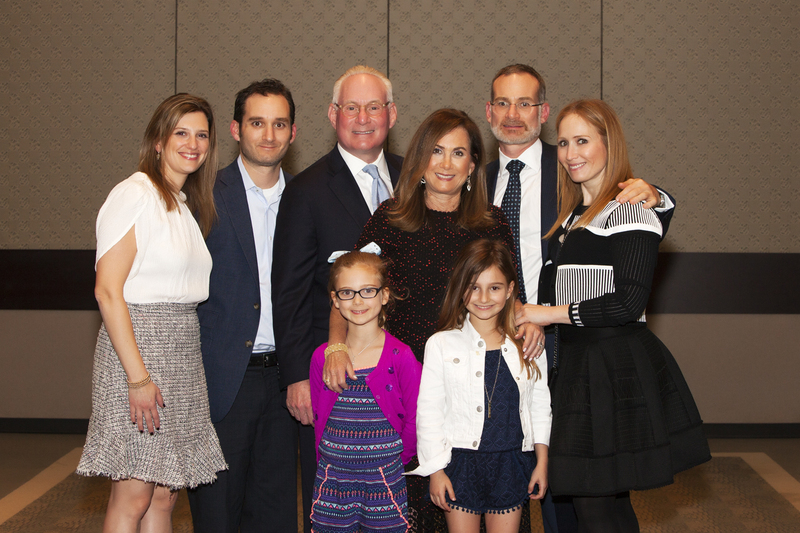 We were a strong, close-knit family – one of 100 Jewish families in Corpus – all very connected to one another. When I think back, I have very happy memories of big family dinners every Sunday with aunts and uncles, great aunts and great uncles and cousins, all who lived just blocks away. My grandmother was Orthodox and lived with us, kept a kosher household, didn’t ride on Shabbat, or turn on the lights. The way she’d get to services on the High Holidays was to take the grandchildren the night before. So, we all slept with her at the synagogue; we liked to call the ner tamid our night-light. Our tradition was very important to us and has kept us connected. I still have family in Corpus Christi, and my brother and sister still live in Houston. Arthur came from a similarly strong family background in Detroit; his parents started Adat Shalom Synagogue on Curtis Avenue. myJDet: What brought you to Detroit? How did you meet Arthur? As cliché as this sounds, it was love at first sight. The backstory: I graduated from the University of Texas in Austin with a degree in Social Work and Nursing. After college, I moved to Houston where both my brother and sister were living and I started working in foster care and adoption for the State of Texas Department of Child Welfare. My best friend —also a social worker – was getting married and while planning the wedding, asked if I would go out with her fiancé’s cousin, a law student from Wayne State University coming in from Detroit. And I said no! Because I thought I was about to get engaged to someone else. As it turned out, I broke up with the guy and decided to meet the law student a week before my friend’s wedding. And when Arthur came to the door, I said to myself, “Here’s the man I’m going to marry.” And other the other side of the door, Arthur had the very same thought: “I’m going to marry her.” And, crazy as this sounds, when I went to get my sweater, my roommate took one look at us together, took me aside and said, “You’re going to marry him,” and I said, “I know.” And that same night Arthur and I laughed about it, and decided that this was it: we were going to get married . . . when and where we couldn’t say, details to follow. That weekend, I met Arthur’s parents at the wedding and even they agreed, we were besheret, meant for each other. So, after three dates (including my friend’s wedding), Arthur sent me a ticket to Detroit to introduce me to Michigan snow and ice for the first time. Three months later during Passover, we were engaged. It’s amazing, we never had a regular dating relationship—and I think we’re still finding out things about each other that we didn’t know – after 45 years. myJDet: Your career has been Federation for many years (more like a marriage!). How did you first get involved? Arthur was in law school when we got married, and when I moved to Detroit, we started our family right away. As a mom with young children, I came to the pivot point of getting active with Federation along with our friends in what was then called the Junior Division. Working at telethons and attending events led me naturally to the Women’s Division – the precursor of the Women’s Department, now Women’s Philanthropy – and I started serving on committees. Back in the day, if you were asked to be on a committee, it felt like a big deal, like you had just been given an achievement award. myJDet: What were some of your sweetest memories or proudest achievements at that time? There was a program called Spring Forum that I chaired, and I think of that as an outstanding moment. There was series of fundraisers called Choices, where we brought in Joan Rivers, Suzanne Somers, Joan Lunden, Henry Winkler, big names with 800 women in attendance at an event. It was amazing. I was in my 30s when I was invited to the Young Leadership Cabinet, a national position with the Jewish Federations of North America, and that’s where I met a cohort of women – all at the same stages of life, working towards the same goals, raising small children at the same time and working toward the betterment of our community. myJDet: Your leadership role in the Jewish Women’s Foundation (JWF) is documented in a previous article in myJewishDetroit. How do you see your new role at Federation playing into the mission of the Foundation? I think there is a niche JWF still fills in the community. I was President of the Women’s Department at the time; Penny was President of Federation and, with my good friend Margot Halperin, we created the Foundation because we thought there was a need to serve women. We were deliberate not to impose on the integrity of Federation’s Annual Campaign effort. We wanted every woman who joined the Foundation to still be a participant in the Annual Campaign and we were clear that the purpose of our grantmaking was to support programs that would not be funded otherwise. Now in my role as Federation’s President, I say that I have many “children” and that my job is to make sure that each one gets their due. The Jewish Women’s Foundation is one my loves. And I want to make sure that it continues to thrive. We have great leadership in place – and luckily, that’s always been the case. May it always continue. myJDet: How many times have you been to Israel? What have been some of your most memorable mission experiences? I’ve been to Israel at least 25 times (but who’s counting?). Arthur and I went to Israel together in the early 80s, and it was the first time for both of us. We’ve taken our children, and I’ve gone on several missions, specifically for women. In terms of mission experiences that were memorable or impactful, both the Miracle Mission and Family Mission come to mind: to experience the thrill of seeing two chartered El Al planes land at Metro Airport to take us nonstop to Israel is something I’ll never forget. I’ve had the privilege of many wonderful memories and many remarkable experiences on missions – meeting Netanyahu, Peres, Rabin, Sharansky . . . all those dignitaries. But when I think of about the most lasting impressions, our visits to Federation’s Partnership2Gether Region are the real stand-outs. Through our community missions, Birthright visits, Teen Missions, the Israel Camper Program at Tamarack Camps, as well as so many shared projects, we’ve created more than a partnership together – we’ve created a community that feels like family. And so often we see how the programs we’ve fostered in the region can be life-changing. On a recent visit, we met with a group of teens who had been campers at Tamarack. One of the parents in the group shared that her son was shy and that she was concerned about sending him to Michigan for the summer. But after his experience at camp, her son came home a changed person. This young man now was so outgoing and articulate that when we met him, we thought he could have been mayor of the town. It’s moments like those that we find the greatest “pay back” for the work Federation does. myJDet: Beverly, in your previous roles at Federation – in the Women’s Department, Israel Missions and the Alliance for Jewish Education – you’ve played a leading part in raising the level programming. Now, as Federation President, how do you see your commitments expanding on the Board level? When I became President, I made a commitment to visit every Federation partner agency. With each visit I’ve been impressed with how much more there is to learn about our community’s needs and the range of services we have to offer. And what a privilege it is to work with the leadership in place in each agency across the board. Jewish education always has been a priority of the Federation – and a passion for me. Recently, I had the pleasure of visiting the education team at the JCC. With the enthusiasm they shared in describing their new roles at the Center, you’d think they had just won the lottery. With the move to the Center, the group has been invigorated to reimagine all that our educational and camping programs can provide for the entire community. We look forward to unveiling new plans very soon. On the board level – it’s never “business as usual” at Federation. We’re starting to see a new energy in our meetings, starting with the way we’ve rearranged the room where we can see one another and talk face-to-face. Our meetings have a new format- each month a different theme where we highlight the work of one of our agencies in a “mission moment.” Most recently, we celebrated Tamarack Camps and recognized Lee Trepeck as recipient of the Berman Award for Outstanding Jewish Professional. The room was packed like I’ve never seen it before. We also instituted something we call a “Deep Dive” where we explore issues and work toward a consensus. I look forward to new developments that are bound to come out our collaborative efforts. myJDet: What do you see as Federation’s greatest achievements over the past five years? My short answer to that is our ability to collaborate. One of the most dramatic ways we see the power of collaboration is the way that our agencies can step up and accelerate our response to challenges like the call for BDS on Michigan campuses, or unforeseen emergency needs like the flood that hit our community in Huntington Woods and Oak Park in 2015. I think we have the best professional staff now in place. With Scott Kaufman at he helm and an outstanding lay leadership, we are the envy of every Jewish community in the country, bar none. And I speak not only of the staff at the Max M. Fisher Building on Telegraph, but those in our agencies. Perhaps it’s a Detroit thing – or a new can-do attitude of our leadership – but what we have is a strong sense of unity, pulling our resources together. There’s no sense of territory. If there’s a problem, or a job to be done, we come to the table to work it out together. I think of that ability not only as a remarkable achievement, but as the way forward for current commitments to serve the needs of older adults and to launch a comprehensive community program for teen mental health. I particularly want to see our mental health initiative for teens come to fruition in my term of office. myJDet: In your view, how has the role of Federation changed over the years? What do you dream for the next five years? We used to speak of Federation as an “umbrella” organization for our agencies– like something useful in a storm. I think of Federation today as One Big Tent – open and welcoming to everyone. My dream is to continue to build and foster the kinds of relationships that make us stronger together – in all climates. I want people to see what I see in Federation: a conduit to everybody: no matter what your religious or political beliefs, no matter what your gender, who you marry or who you love, we are one community. Places to meet for coffee: The Gallery on Telegraph and Maple and Great Lakes Coffee around the corner. Building in the Detroit skyline: Still on the horizon, but not yet built: the tallest building in Detroit that Dan Gilbert has planned for the spot where Hudson’s used to be. Place to take kids or visitors. Henry Ford Museum and Greenfield Village, the DIA and Detroit Historical Museum. 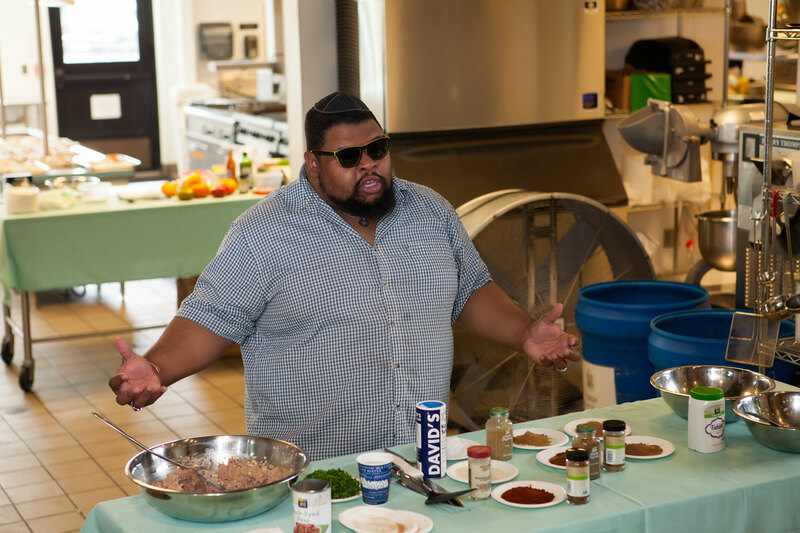 Jewish Food: Old classics: Kasha and shells. Tongue.